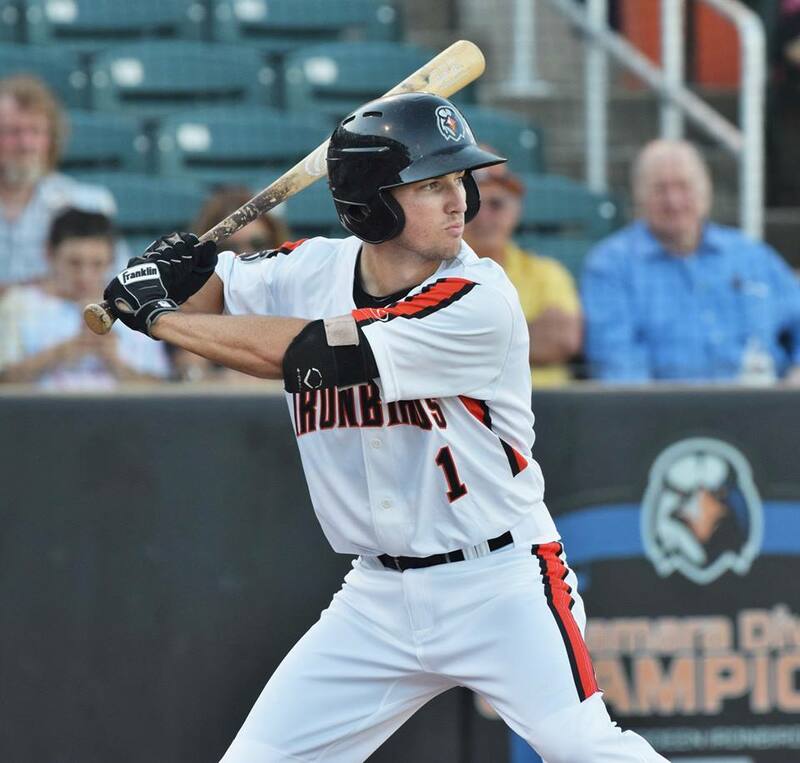 It took nine games for Adam Hall and his Aberdeen IronBirds teammates to get the final edge over the Vermont Lake Monsters. 2018's season finale ended with a 9-4 'Birds win to close out the six game road trip with five win. Hall was back in his lead off position, he had 5 At Bats, scored 2 Runs, he had 1 Hit and Struck Out twice. Hall reached on an error for Aberdeen in the first inning. He stole second, advanced to third on a wild pitch and scored on another error to make it 1-0. As usual with these two teams Vermont answered quickly. A leadoff walk for the Monsters in the second ended up bringing home a run on a fielder's choice. Vermont then jumped ahead with an unearned run from a Jean Carmona error in the third. Willy Yahn knocked an RBI double in the fourth inning to score Robert Nuestrom and tie the game up at two. In the fifth Hall singled and scored on a J.C. Escarra ground out to take a 3-2 lead. Jose Rivas tied it up yet again in the 6th. He tossed a single into right to score Jonah bride and make it 3-3. Aberdeen found their stroke in the 7th. Two walks and a hit batter loaded the bases with one out. Escarra, Cody Roberts and Robert Neustrom each singled to bring home a run. A throwing error scored another and the 'Birds led 7-3 after seven. Aberdeen grabbed some insurance in the 8th with two runs on a Jean Carmona double. Vermont got one back in the 9th but Aberdeen took a 9-4 win.